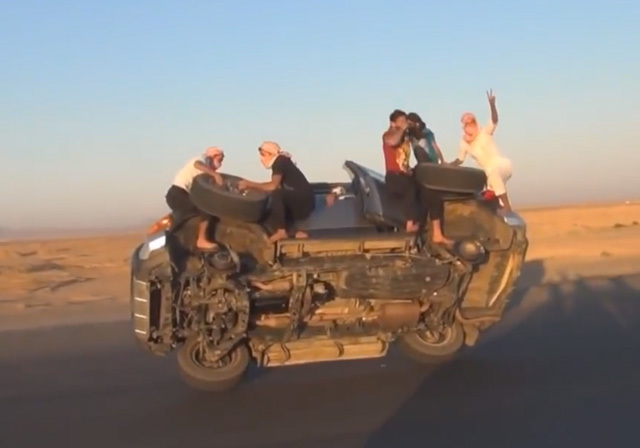 A group of men appear to remove and reinstall two wheels on a Toyota SUV as the vehicle is driven down the road on two wheels in this insane video uploaded by Al Drifter. The potentially deadly stunt is an example of sidewalk skiing, a death-defying activity practiced by young men in Saudi Arabia’s underground street racing culture. Kids: don’t try this at home.